Dedication and patience are crucial to leading any organization. But the most enduring companies of the modern age have something else too: leaders who saw beyond the confines of business convention and into a different future. Leaders who didn’t just grow their profits, but expanded the horizons of their customers and our culture. From Henry Ford to Margaret Rudkin, Coco Chanel to Steve Jobs, their extraordinary stories still hold living wisdom for today’s entrepreneurs. Learn from their ageless insights and the possibilities are limitless. 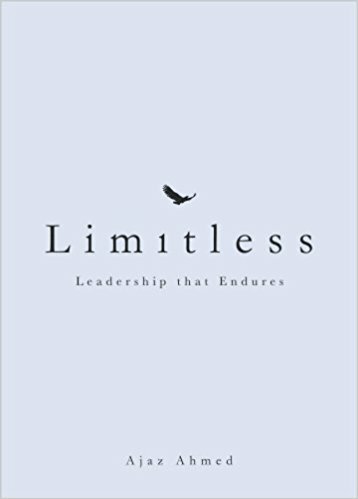 In this book, Ajaz Ahmed shares his inspirations for enduring leadership. There isn’t a magic formula for better leadership. But there is an enduring philosophy behind the most inspiring leaders in business, past and present. It’s one that has outlasted markets, currencies, meltdowns, revolutions, and regime changes. Limitless is a celebration of the transformative power of thinking beyond conventional boundaries. Its fascinating true stories of the most audacious and accomplished business leaders remind us how the entrepreneurial spirit really does change the world for the better. The greatest leaders not only make a difference in their own times, but also leave behind the lessons they’ve learned for the world that goes on after them. Finding opportunities where others see obstacles, they show that the greatest investment any entrepreneur can make is to keep an open mind.